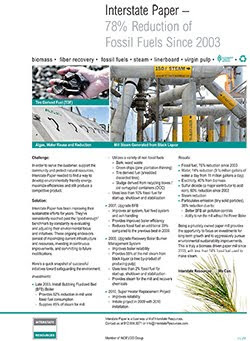 Download the August 2010 Phoenixia newsletter and get the latest news about Phoenix Machinery. 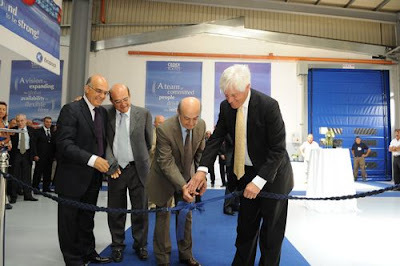 CNC precision part and machinery manufacturer, Phoenix Machinery in Safra, Lebanon has released the third issue of its 2010 quarterly e-newsletter, Phoenixia. Phoenix Machinery produces new equipment and performs control upgrades and refurbishing for hygiene, plastic, tissue and paper machinery, as well as high precision CNC parts. 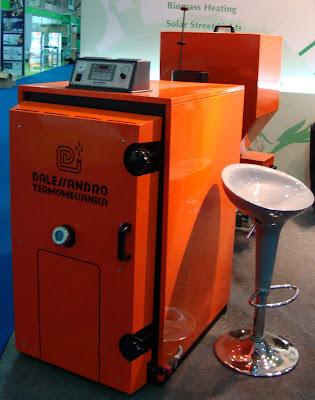 Phoenixia Newsletter August 2010 issue comprises of the most recent news articles pertaining to the latest product launches, technologies, events, services, achievements and joint ventures, as well as Phoenix Machinery's divisions activities. 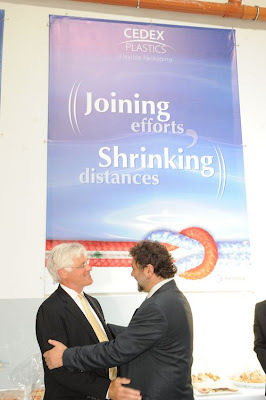 Uniplast enhances its effectiveness by capitalizing on new extruder, inline printing and inline cutting machine. 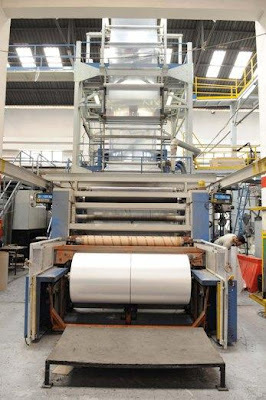 Uniplast has recently installed a machine simplifying and shortening the bag and sheet on roll production process. This machine combines the functions of an extruder, inline printer and cutter, thus providing three-in-one services. 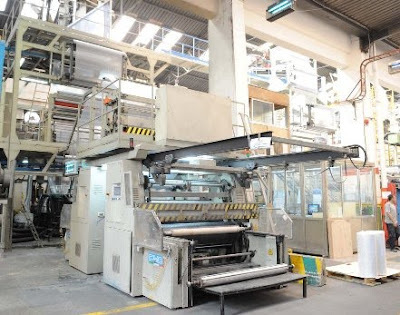 It has a production capacity of 2-3 MT/day and provides two-color recto verso printing with repeat up to 640 mm. Numerous positive outcomes result from this machine; the most important is improving the overall efficiency. By performing operations once done by numerous machines, this new machine cuts manufacturing and maintenance costs, in addition to increasing time efficiency by optimizing production time. The Jeddah, Saudi Arabian-based manufacturer, Uniplast, produces transparent manual stretch film , colored manual stretch film, transparent machine stretch film, colored machine stretch film, PE trash bags and bin liners, PE food storage bags, and PE embossed disposable table covers. Beginning August 2010, MASTERPAK will start Form-Fill-Seal (FFS) roll production. Polyethylene film manufacturer, MASTERPAK will be producing three-layer heavy-duty FFS tubes in rolls for packing dry condiments, powder detergent, in addition to chemical and petrochemical products, such as composts and fertilizers, polyolefin, granules and cement on FFS machinery. It will produce FFS film rolls with side gusset and embossed materials. 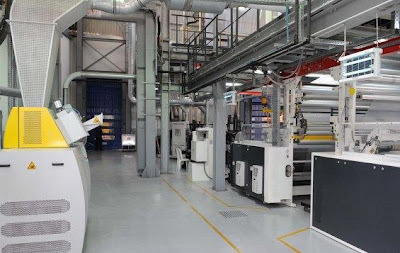 Furthermore, the film length will range from 30-80 cm in width and 140-170 microns in thickness and the outer diameter of the roll can go up to 1 m.
MASTERPAK will be using flexographic printing which enables two-side print of up to four colors and will be customizing the film according to the type of packed product. 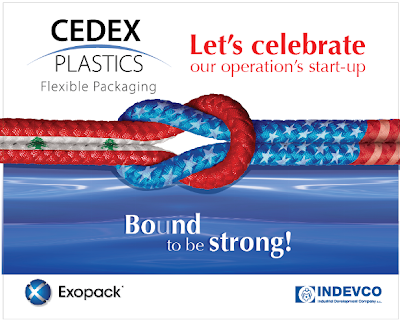 MASTERPAK in Zouk Mosbeh, Lebanon is a member of INDEVCO Flexible Packaging, a division of INDEVCO Group, the 'Local Multinational of the Middle East'. 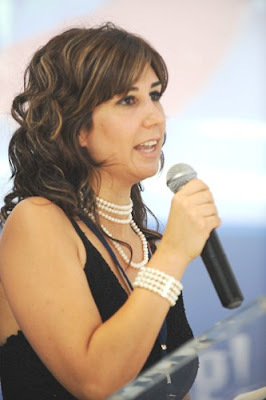 Friday 23 July 2010, marks the relaunching of Napco's TV campaigns for Sanita aluminum foil and Sanita Sufra Matwiya disposable table covers on Saudi and Middle Eastern channels. These campaigns will be running through the end of the year. The TV commercial highlights the Sanita Sufra Matwiya disposable table cover uses and wide range of colors and designs that are suitable for all occasions. The practical 4-folded sheet can cover large tables and floor spaces and easily fit in the drawer. Demonstrating the various uses for Sanita aluminum foil, this TV commercial along with the one of Sufra Matwiya are being broadcasted during July - August before Ramadan on MBC 1 , sponsoring “A better life with Dr. Jamal and Howayda” cooking show and Rotana Khalijiyah, sponsoring the cooking section of the “Ya Hala” program during . Furthermore, these TV commercials, during the month of Ramadan, will be broadcasted daily at 1:00 PM on Saudi TV, sponsoring the cooking show "Atbak Shahiyya" and Dubai TV, sponsoring the cooking program "Maa Oussama Atyab". Multipak verifies its dedication to high-quality standards by passing the BRC/IoP audit. 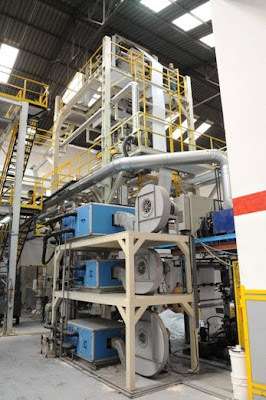 Jeddah-based flexible packaging manufacturer Multipak has officially passed the BRC/IoP audit that took place on the 14 and 15 of July, 2010. The audit, performed by the third party certifying body TUV-Nord, covered management systems and Hazard Analysis and Critical Point (HACCP). "In line with INDEVCO Flexible Packaging excellence initiatives, the BRC/IoP standards help us improve Multipak’s effectiveness and cleanliness, in addition to food safety and product quality." British Retail Consortium (BRC) is a UK trade association which represents a diverse range of retailers. BRC, in coordination with the Institute of Packaging (IoP), developed the BRC/IoP Global Standard Packaging and Other Packaging Materials. This standard guides and aids manufacturers and retailers to reach legal and consumer requirements while confirming a high level of technical performance. Passing the BRC/IoP standard indicates that Multipak reaches recognized legal, quality and safety requirements and has best practice systems implemented. Furthermore, the BRC/IoP Global Standard is in conformity with some of the ISO 9001:2000 audit standards. Multipak has proven once more its commitment to continuously raising the bar on its quality standards. The flexible packaging manufacturer has already achieved HACCP certification, in addition to being an approved supplier to YUM! restaurant brands around the world and Nestlé France. Multipak is a Napco company and member of INDEVCO Flexible Packaging, a division of INDEVCO Group, the 'Local Multinational of the Middle East'. Multipak produces ice cream packaging, paper bags, paper sheets, paper cups, and paper tubes. Established in 1997, Multipak supplies flexible paper packaging to ice cream producers, fast food franchises, retail, carpet and textile producers in the Arabian Gulf, Middle East and Africa. 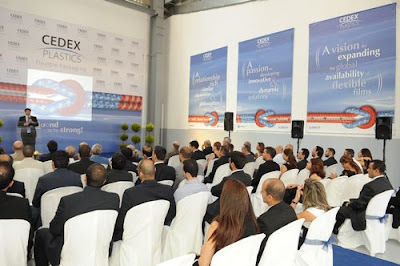 Watch the news report of CEDEX Plastics launching ceremony. 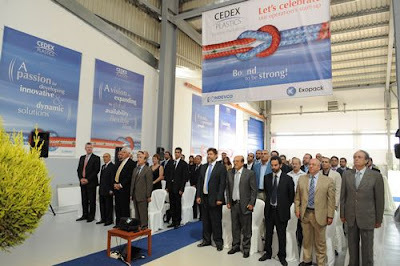 On 8 July 2010, CEDEX Plastics, a U.S.-Lebanese joint venture between Exopack and INDEVCO, celebrated the launching of its co-extruded polyethylene film production in Zouk Mosbeh, Lebanon. The plant produces shrink bundling film, CaseFLEX™ select case overwrap film, AquaCrystal® select high clarity shrink films, lamination grade sealant film, PolarFlex™ select surface printable films, and towel and tissue wrap for the North American market. 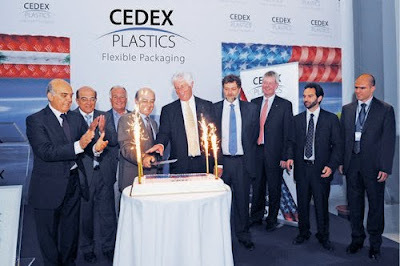 CEDEX Plastics celebrated the launch of its PE film production with a ceremony on Thursday, 8 July at its Zouk Mosbeh, Lebanon manufacturing facility. Papa John's supplier audit confirms that Easternpak meets high quality standards in manufacturing catering disposables. 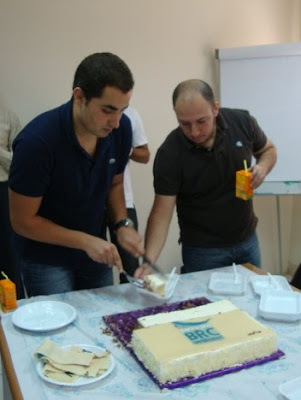 On 28 June 2010, Easternpak corrugated manufacturer in Dammam, Saudi Arabia successfully completed Papa John's Supplier Audit Program. Easternpak will be supplying corrugated pizza boxes to Papa John's restaurants in the Arabian Gulf. In the Middle East North Africa (MENA) region, Papa John’s has 44 restaurants in Bahrain, Cyprus, Egypt, Jordan, Kuwait, Oman, Morocco, Saudi Arabia, Turkey, and United Arab Emirates. The international pizza chain has over 3000 restaurants in over 30 countries. Papa John’s performs an annual audit of its suppliers, in order to ensure that they reach its high standards. Papa John’s uses a standard score card system to evaluate the supplier’s system and premises. Easternpak scored 827 out of 900 points (91.89%) on the audit conducted by Robert Harry, Papa John’s Director International R & D/Quality Assurance. This result demonstrates Easternpak's commitment to meeting quality standards at the facility, process and product level. Easternpak is ISO-9001:2000, HACCP, GMP and BRC Global Standard certified manufacturer of corrugated packaging. In addition to pizza boxes, Easternpak also produces corrugated cup holders, corrugated double decker pizza boxes, and corrugated meal delivery boxes in its catering disposable line.